YouTube is no longer the only option for video marketing. There are a variety of channels that companies can use, such as Facebook, Instagram, and even Twitter, to post videos in order to build awareness for the business. These channels can be great for generating immediate awareness of your brand. 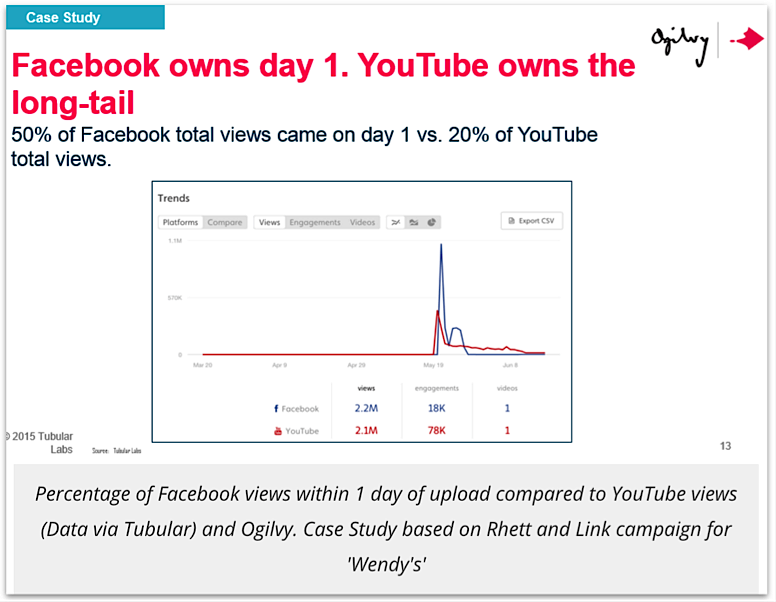 For example, when Wendy’s launched a video marketing campaign on Facebook, 50% of their total views came within the first 24 hours. Facebook also has a wide range of targeting features that can help you get your video content in front of the right people. However, there’s one critical way in which video marketing on social media channels like Facebook differ from YouTube. On YouTube, users come to the site with the intent of watching videos. In the early stages of the buyer’s journey, customers try to find out as much about their problem and potential solutions as possible from search. According to Reel SEO, this naturally leads them to sites like YouTube, where they may end up watching multiple videos as part of their research. On Facebook, users don’t have any pre-existing intention of watching marketing videos from companies, so it’s harder to capture that kind of attention. In addition, YouTube has the upper hand when it comes to long-term video engagement. If you upload a video to Facebook, most of your views will come within the first day. However, if you upload a video to YouTube, only 20% of your total views will come on day one. This means that there’s huge potential for evergreen content on YouTube, so leveraging this platform can help your brand push more prospects down the funnel more effectively. 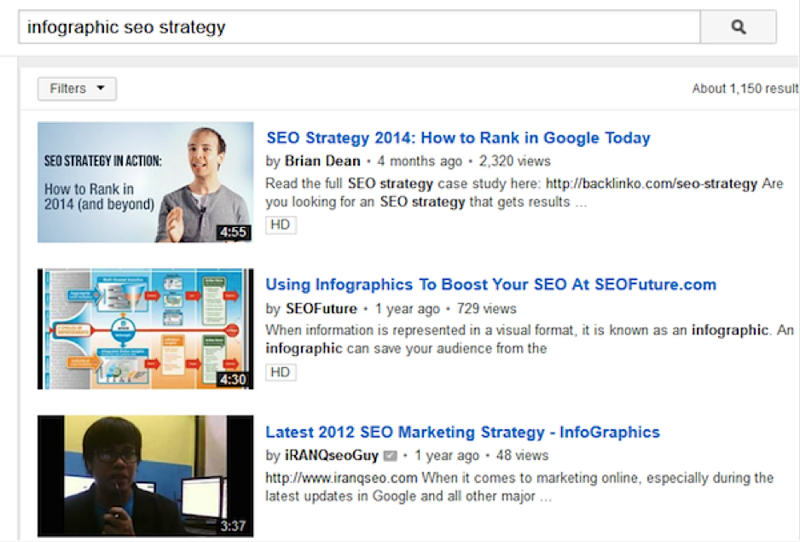 In this post, we’ll cover some SEO tools you can use to grow your YouTube video rankings. But first, let’s take a quick look at how YouTube fits into your overall marketing mix. At the top of the funnel, the main priority is to build awareness for your business and start a long-term relationship with them. 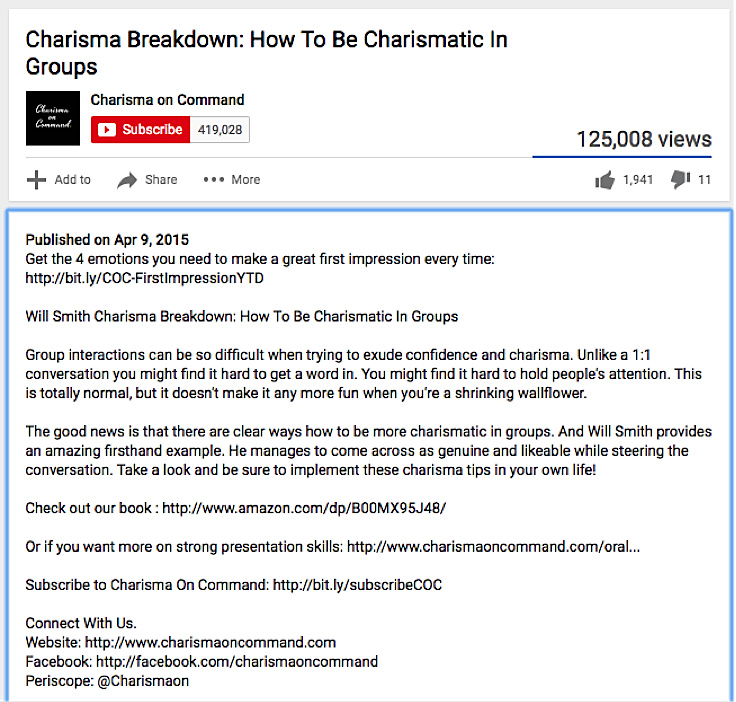 For example, Charisma On Command (a business that sells social skills courses) uses YouTube videos to display educational content that relates to what their target audience would be searching for. What many people don’t realize is that YouTube can also be an effective way to rank higher in organic search. 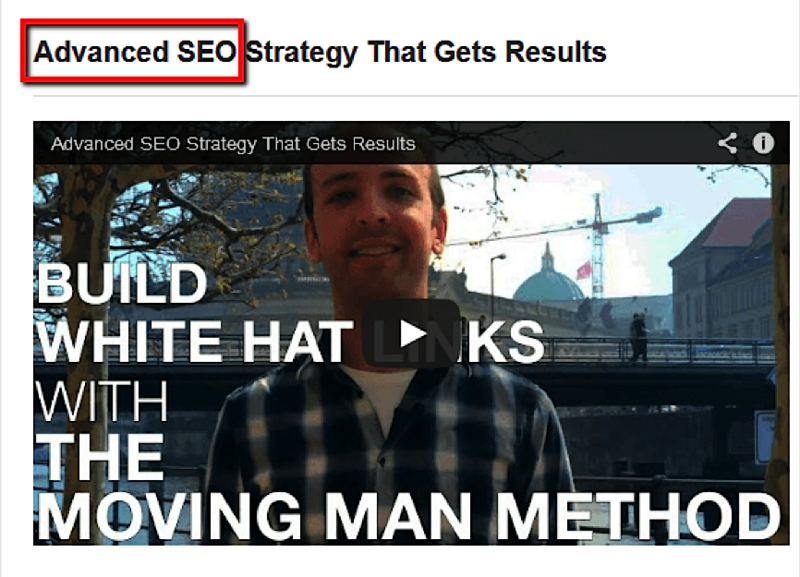 If you craft a good description under the video, it will definitely help with your SEO. Another place that users who are at the top of the funnel go to research solutions to their problems is directly to YouTube search. 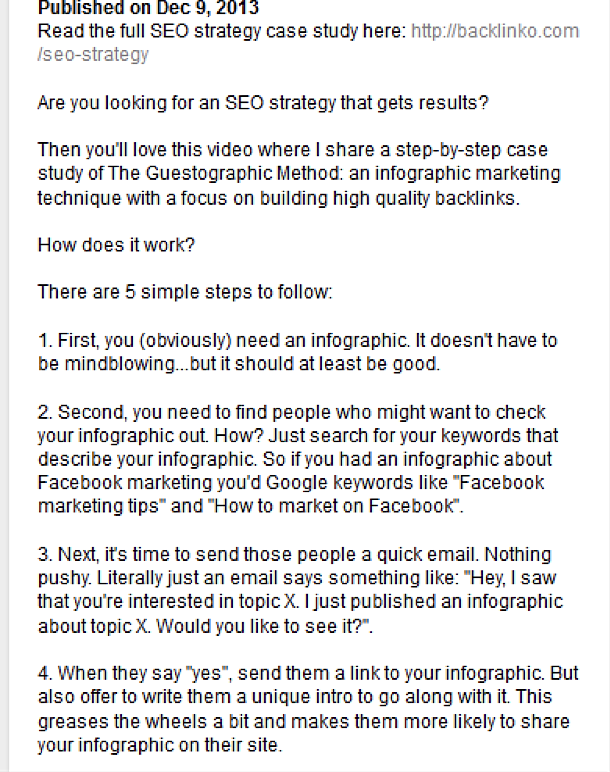 In fact, informational how-to videos are the most popular types of videos watched on YouTube. Let’s say you have a product that sells B2B software for sales teams, like Close.io. One type of content that might resonate with the target audience for this product is YouTube videos that teach you how to sell and close deals faster and more effectively. 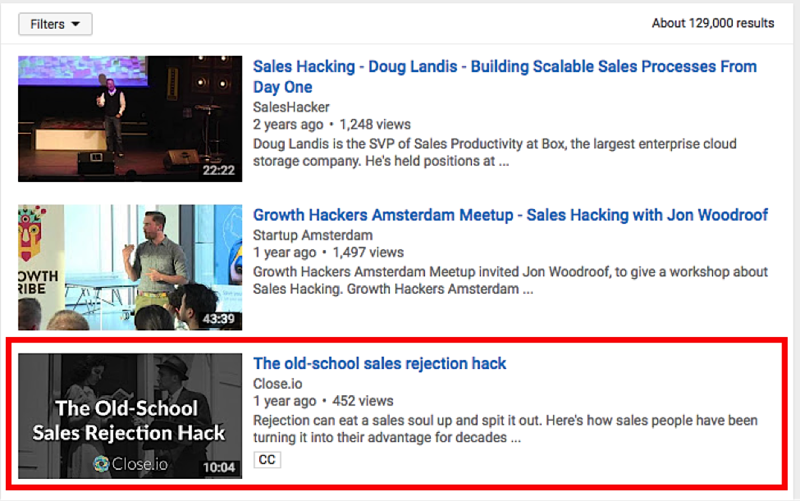 If a prospect is interested in educational sales content, they might type “sales hacks” into YouTube search. And sure enough, they would stumble upon a video by Steli Efti at Close.io that talks about how to get over rejection in sales. Once the user clicks on the video, Close.io has a couple ways of moving them down the funnel even further. 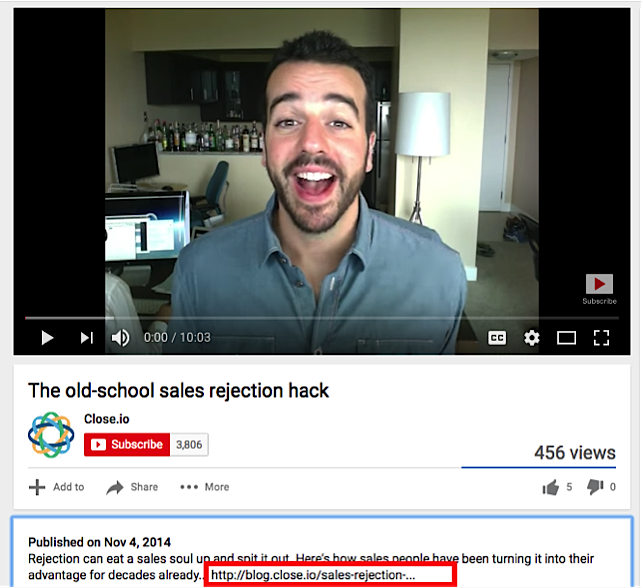 In the description box of the video, they have a link to a long-form blog post that includes the video and more deeply covers how to get past rejection in sales. From the blog post page, prospects have the option of expressing interest in Close.io by opting into their startup sales e-mail course. Then once they’re on the e-mail list, Close.io can send leads even more valuable content as they move along the funnel and get closer to making a purchase. This means that you need to get your YouTube videos ranking as high as possible within both YouTube and Google for your select keywords. Free Bonus Download: Get the perfect accompaniment to this post with a detailed guide on YouTube video advertising! Click here to download it free. There are a few things to keep in mind when optimizing your YouTube video for the best possible SEO rankings. Whenever you upload an image on your site, it’s good practice to include your focus keyword in the image tag because Google puts high value on the image’s “alt text” and title to determine the content. Similarly, when you upload your video on YouTube, you should use your keyword in the filename of the video. The title of your video should have at least five words so that you can include your target keyword within a longer phrase. Writing a great description is the most important part of increasing your YouTube SEO. When you write blog posts for your site, Google can crawl through the post to gauge its quality. But search engines can’t watch videos (yet!). That means they lean heavily on the description text to get a feel for what the video’s topic is, what it covers, and how in-depth it is. And the more that YouTube knows about your video and the keywords it covers, the better it can rank you for those keywords. Also, notice how the description above includes the link to the site at the very top. Placing your link at the top of your description helps maximize the number of clicks back to your site, which helps you get more visitors as well as grow your website SEO. This way, viewers don’t have to click “see more” to view the link. Including the right tags can also help your video rise in the rankings, although tags for YouTube videos tend to be less important than other factors like the description. When it comes to your tags, you should include a few keywords on what your video is about, and put the more “important” tags up front. These tags can help your video get discovered in YouTube’s side bar in the “related videos” section. Link building is still important when it comes to improving your Google rankings. Encouraging your YouTube video viewers to share your video with their friends shows Google that you’ve produced something of quality that people actually like. A great way to get more search traffic on YouTube is by creating playlists. Once you have at least 10 videos on your channel, you should group them into one playlist with a similar theme. By building a keyword-rich playlist, you give YouTube a deeper level of understanding into your video. You can see that they’re linking to their page in the first line to maximize click throughs, and they’ve written an engaging, keyword-rich description. 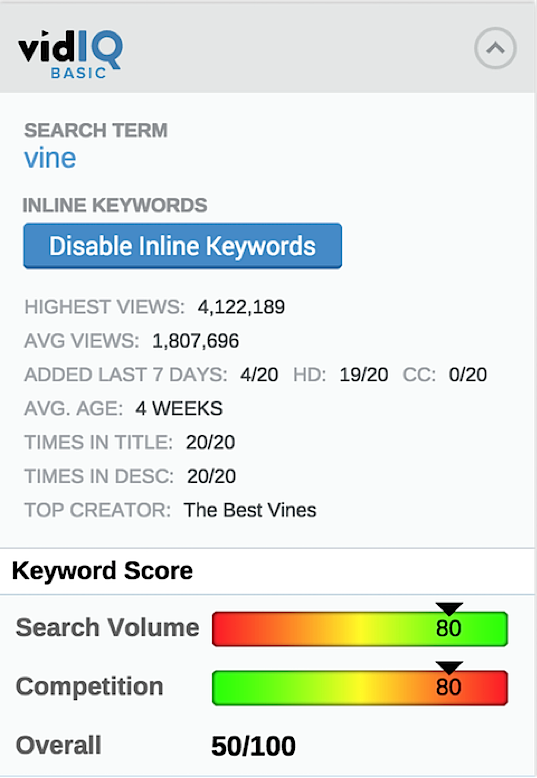 Once you search for a keyword, you can sort by relevance, upload date, view count, or rating. You can “sort by upload date” to see the most recent videos that have been uploaded, and how people are responding to them. If you’re just starting to build your YouTube strategy, then chances are you don’t already rank for the big keywords in your niche. By using YouTube’s search auto-suggest feature, you can easily find long-tail keywords in your niche, so that you can rank for them and drive targeted traffic back to your site. You can also use a tool called SEOChat. This takes your “base” search term and adds each letter of the alphabet after it to give you a full picture of all the long-tail keywords you can rank for. When you’re doing keyword research for YouTube, it’s important to realize how it differes from Google keyword research. 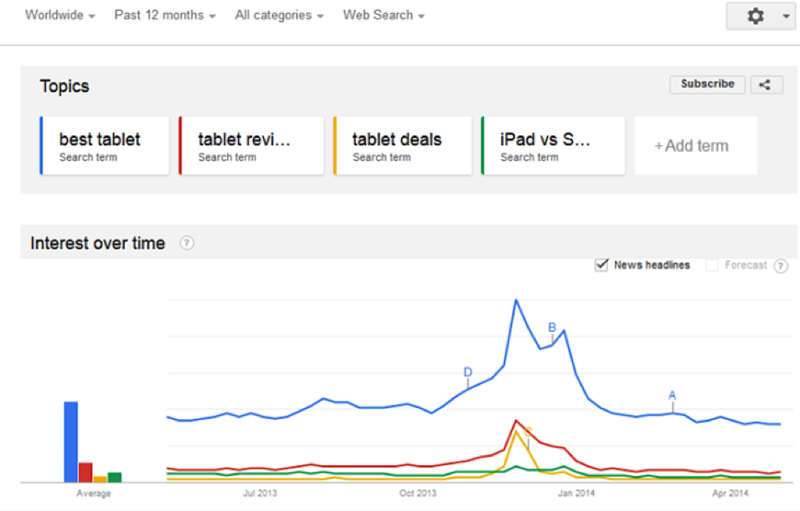 The data shows that there was a spike in search between November 24th – 30th in 2013. However, if you measure YouTube search traffic for the same keywords, you’ll see a different pattern. The spikes in YouTube search aren’t nearly as high, and the leading search terms are different. 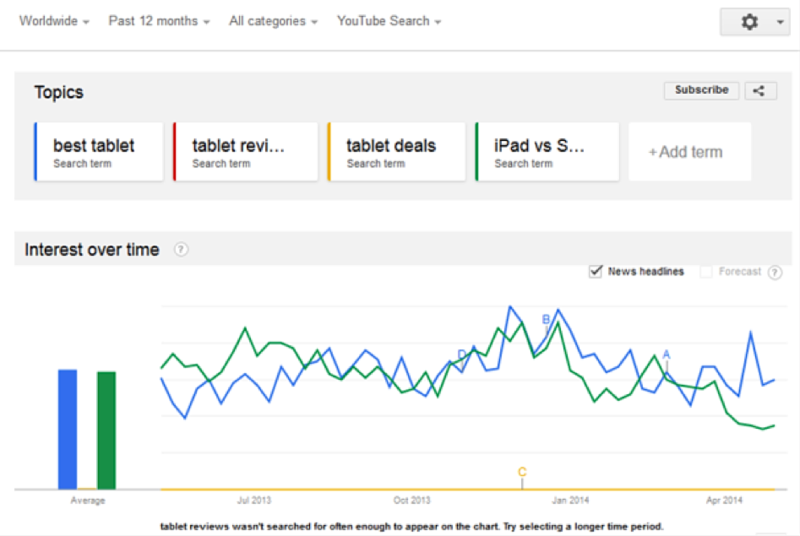 Because of this difference in search behavior, it’s important to use keyword research that is specific to YouTube. 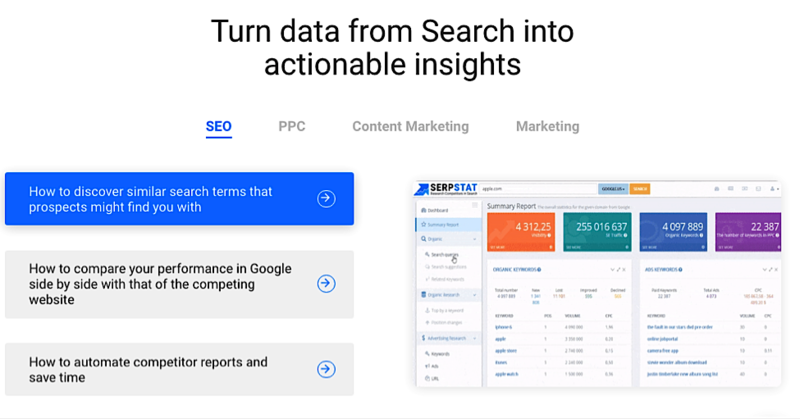 SerpStats is a keyword research tool that can give you in-depth insight into what your competitors are doing, which can help you rank your videos high in search. You can give it one “base” keyword, and the tool will come up with a range of suggestions that you can rank for. It’ll help you discover those search terms that prospects are looking for and with which they could find you, help you compare your performance with your competitors, and send you automated reports. SerpStat also allows you to find the questions that people are searching for related to your niche. This way, you can create content that addresses those questions specifically and get your YouTube video to appear at the top of Google search results for that specific question. Google often surfaces results from YouTube within the SERPs when users search a question, which gives you the opportunity to get your video in front of a highly targeted audience. Keywords for SEO and PPC campaigns. SerpStat allows you to collect profitable keywords in your niche that you could rank for. You can leverage these keywords to promote your video in Google search. Determine the value of keywords. You determine the value of your keywords by using SerpStat to measure key metrics, such as cost-per-click, competition level in Google, search volume, and more This way, you can target keywords that have low competition and high search volume. Get long-tail keyword recommendations. In addition to getting traffic from high-volume, low-competition sources, you can also take advantage of lower volume terms that are more specific to your industry. This will allow you to get more targeted traffic to your video. 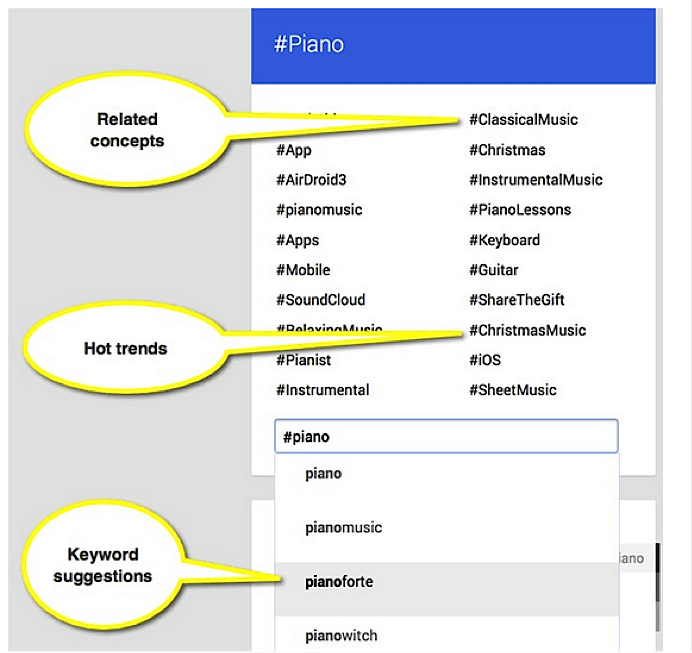 Analyze keyword trend. 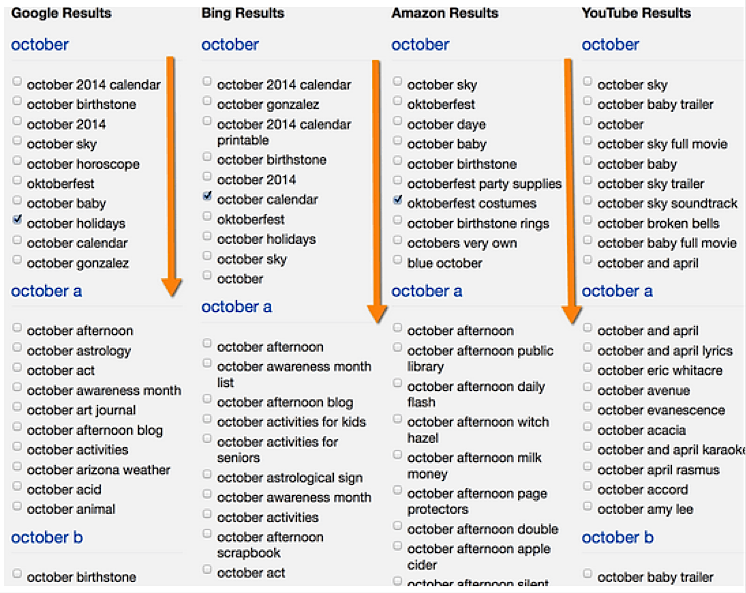 You can get a better sense of a keyword’s popularity by analyzing search patterns over time. You can see if it’s a term that’s becoming more popular, only spikes at certain times of the year, or if it’s tied to any other trend throughout the year. That way, you can better plan your ad campaigns. Analyze web page relevancy. Using SerpStat, you can discover which of your YouTube videos is more relevant to a specific search result and measure it against other competing pages so you can better tailor your pages to search results. Google Explore helps you get a better understanding of keywords that are related to your base term, show you slang and user-generated content that’s similar to your base term, and relevant trends in your niche. This helps you get a more complete picture of the conversations that are happening among your target audience. By uncovering trendy, time-sensitive topics that are being discussed, you can create content that’s more likely to be searched for in both Google and YouTube. For example, you can look for high-traffic hashtags that you can use to tag your YouTube videos in order to increase the likelihood that they’ll be found by the right people. Social media. You can track mentions of your company on social media, the number of Twitter followers you get over time, Facebook demographics, and more. Marketing. 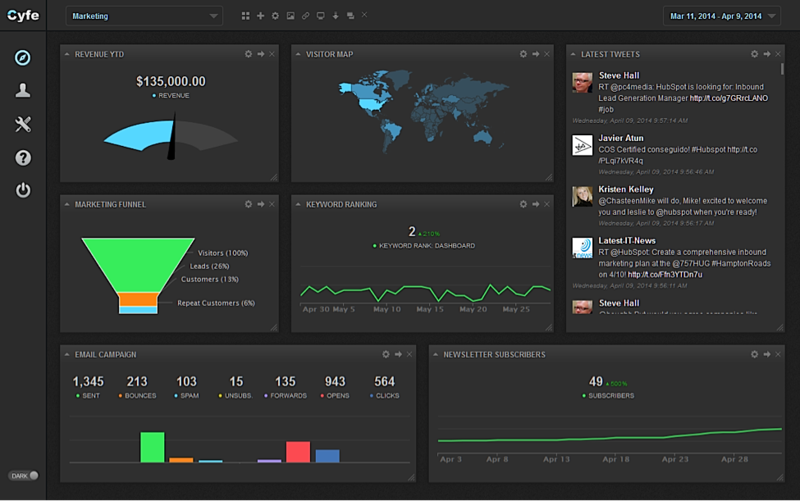 Within your marketing dashboard, you can monitor channels like e-mail, SEO, SEM, social media, and analytics. Client reporting. If you have clients, or if you have to deliver reports to customers, you can automate reporting by bringing together all client data within one dashboard. Web analytics. Through your analytics, you can track multiple websites, top referring domains, search engines, SEO keyword rankings, and more. Finance. You can use Cyfe to keep a track of your business expenses, company revenue, balances, etc. Sales. In your sales dashboard, you can view top sales goals, find the latest opportunities, and new customers. Project Management. Through your project management portal, you can get a quick overview of your latest projects, tasks, and so on. IT. Cyfe even lets you monitor your website uptime, server load, app performance, and other IT metrics in one place. 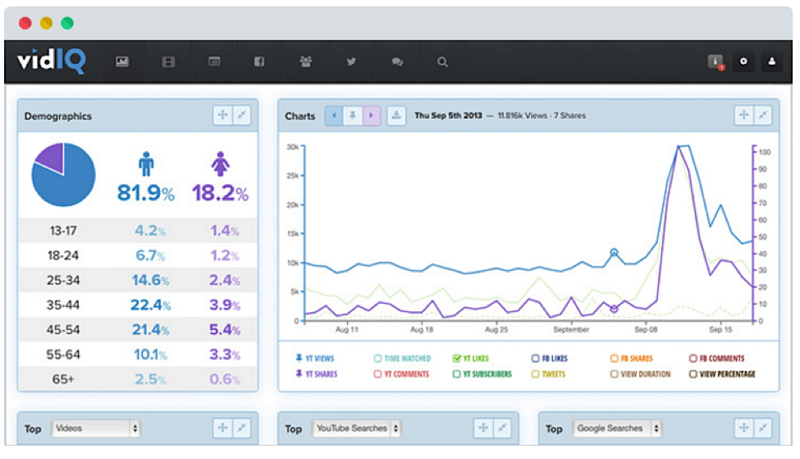 You can create custom dashboards within Cyfe for your YouTube keyword research. For example, you can monitor Twitter search traffic for your target search terms, Google Plus search results, and variations of the keywords you’re interested in targeting. This way, you can prioritize your video content creation based on what’s getting the most traffic. Vidiq provides a range of video marketing tools to help business owners build a loyal audience through YouTube. Including the right tags can help your video rise in the rankings within YouTube search results, and Vidiq can help you increase your library of tags by 10x in under 10 minutes so you can get discovered more easily. When it comes to your tags, you should include a few keywords on what your video is about. These tags can help your video get discovered in YouTube’s side bar in the “related videos” section and Vidiq helps you determine what these tags should be. Since it’s a paid tool, keyword insights are gathered from more data than a free tool. But on top of a large volume of data, another benefit that Vidiq offers in terms of keyword research is telling you how difficult it is to rank for a particular keyword. This helps you know whether it’s worth trying to rank for the keyword or not. Using this tool, you can uncover hot keywords that don’t have that much competition yet. It also shows detailed metrics about your Facebook and Twitter mentions, how you measure up against your competition, the best time to upload, and your top performing videos in search. 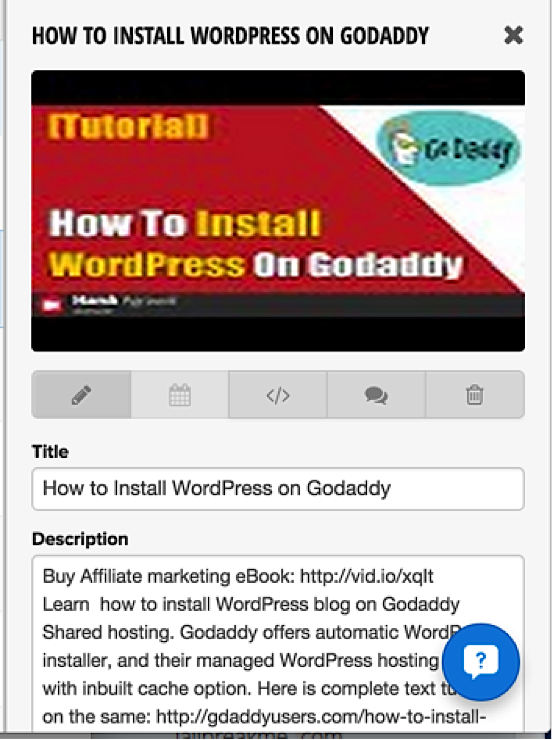 Vidiq also gives you a good system for managing your YouTube videos. Once you connect it with your YouTube account, Vidiq will automatically import all the videos you have on your channel to your Vidiq dashboard. From there, you have the option to sort by different parameters, like views or likes. Vidiq makes it pretty simple to optimize all your videos for SEO — you can click on any video in your dashboard to edit it without leaving the page. Engaging with your audience. The more you interact with your audience, the more connected they will feel to you and your company. This can impact your bottom line as well: brands that interact with their audience consistently get up to 7x more shares and 4x more views. Tracking social conversations. Vidiq has features to help you track what your audience is saying about your brand across all social platforms, including Twitter and Facebook. That way, you can see who’s sharing your content, where specifically you’re getting traction outside of YouTube, and where to invest your marketing efforts. Manage collaboration. If you have a team that manages your YouTube videos, you can use Vidiq to collaborate with them. It also lets you manage multiple YouTube channels and track analytics across all of them. TubeBuddy is a Chrome extension that you can download to manage your YouTube channel. 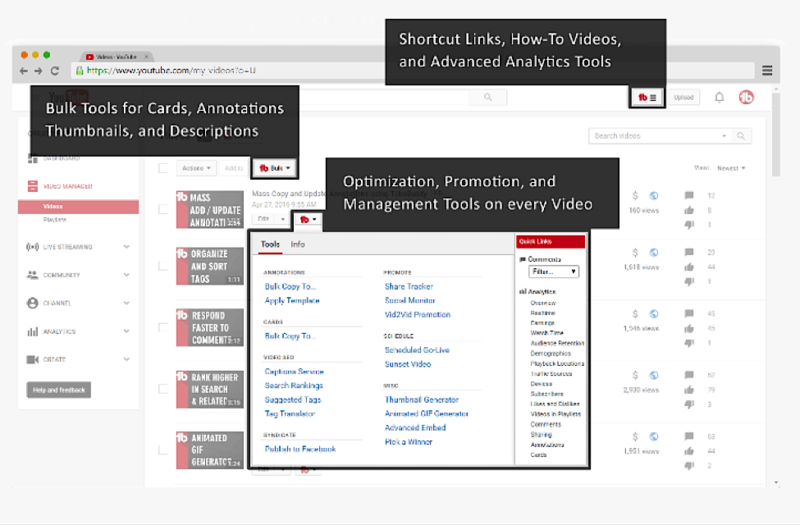 TubeBuddy gives you optimization, promotion, and management tools on every video on your channel, as well as advanced analytics tools to help you optimize your SEO. This tool is unique in that it doesn’t require you to leave YouTube to utilize it: its features load within YouTube’s site, so the user experience fits within your existing workflow. Plus TubeBuddy shows you which video tags you’re already ranking well for as well as which tags you should be taking advantage of in future videos. Captions service. Professionally transcribed captions can increase the number of views you get on your videos by 7.3%. Transcriptions can make your videos accessible to a wider audience. For example, you could repurpose your YouTube videos by posting your transcription on your site as a blog post. Opportunity finder. Based on your YouTube search traffic and channel performance, TubeBuddy automatically finds opportunities that you can take advantage of outside of YouTube. Video A/B tests. There are a lot of different variables that can affect the success of your YouTube channel. You’ve got to consider video thumbnails, tags, descriptions, titles, and more. TubeBuddy lets you A/B test all of these to see specifically what changes correlate to increased search traffic. Considering that YouTube is the 2nd biggest search engine on the web (right behind Google), getting your videos to rank high within the platform is well worth it. 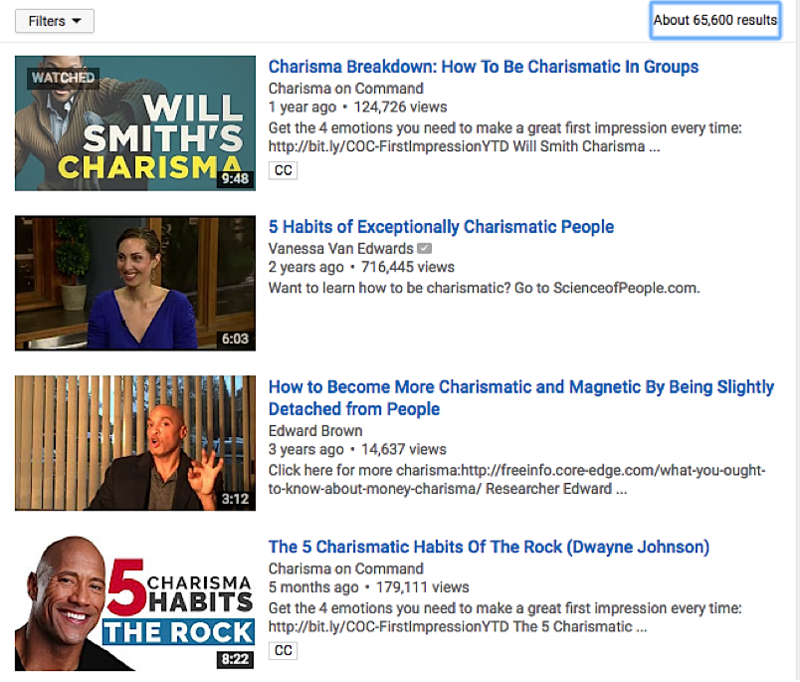 When it comes to YouTube SEO, there are a lot of things to take into consideration. Apart from creating a high-quality video that solves a problem that your target audience has, you also have to choose the right tags, create a keyword-rich description, and encourage people to share and subscribe after watching the video. Having the right tools at your disposal makes it easier to find new keywords to rank for within YouTube, so you can get your videos in front of the right people. At Single Grain, we offer SEO services to help companies get discovered by their customers in all the right places, and ultimately grow their bottom line. Click here to schedule a free strategy call where we’ll show you which SEO strategies can help you grow your business! Which YouTube SEO tool do you plan on using for your business? Let us know in the comments below!